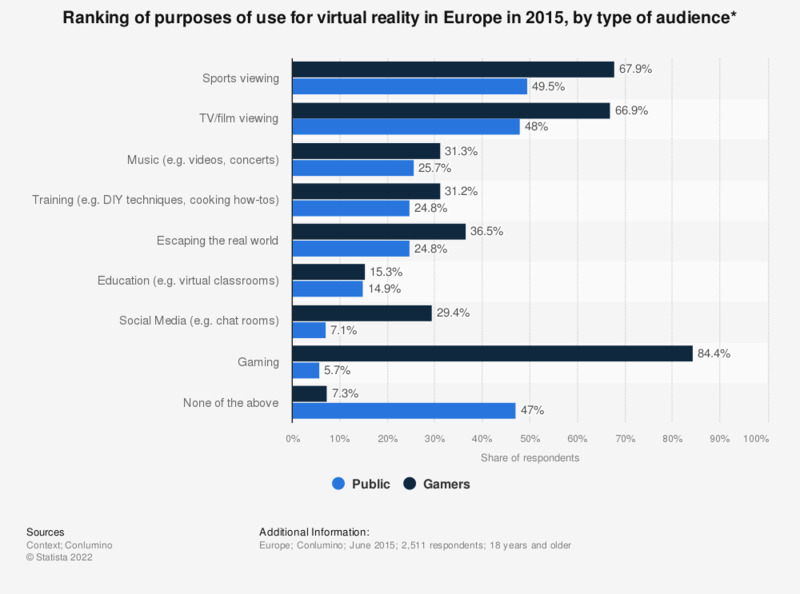 This statistic displays a ranking of purposes for using virtual reality (VR) for respondents in Europe in 2015, broken down by the type of audience. About 49.5 percent of the general public ranked sports viewing as the top purpose for the use of VR. What VR have you experienced?